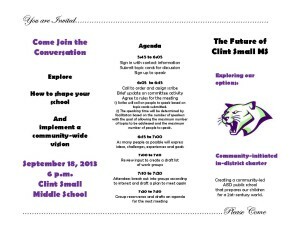 The Future of Clint Small Middle School Committee is made up of parents, teachers administrators and members of the Southwest Austin community. They have been meeting over the summer and are now ready to start working on the In-District Charter Proposal. You are invited to come be part of the process and have a say in how the proposal will look. 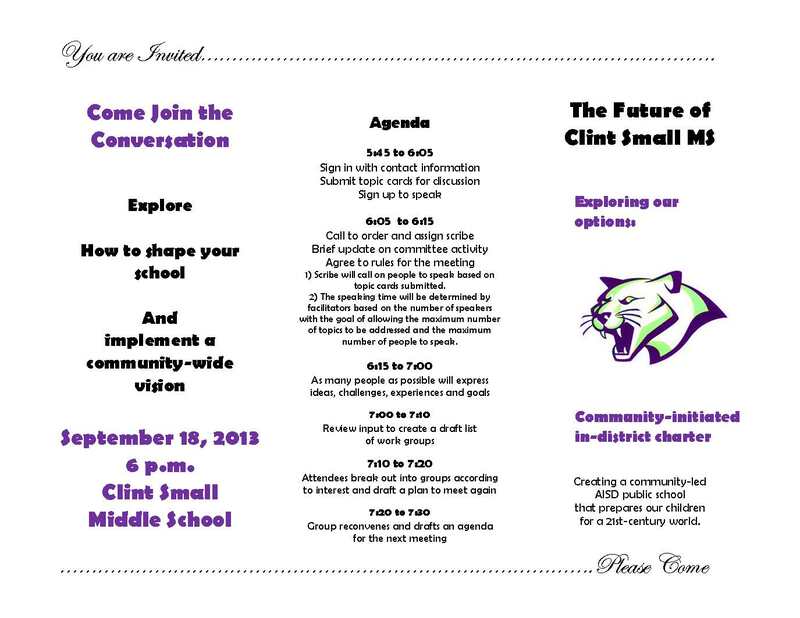 The next committee meeting is scheduled for this Wednesday, September 18 at 6:00 pm at CSMS. Please consider coming down be a part of this opportunity. New faces welcomed and encouraged! 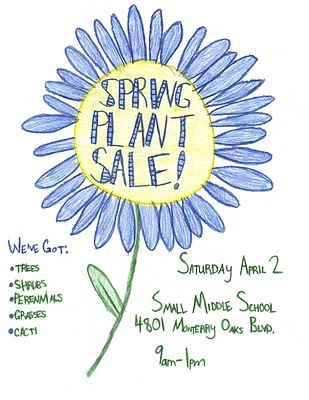 The Clint Small Jr. Middle School annual Spring Plant Sale will be on Saturday, April 3 from 9am to 1pm in and around the greenhouse on campus. Lots of native and naturalized plants perfect for the Oak Hill area will be on sale. The school needs potting containers of all sizes and bags of leaves. Drop these items off next to the yellow service drive gate on the north side of the school. The annual Spring Plant Sale will be on Saturday April 10th from 9am to 1pm in and around the greenhouse. Lots of native and naturalized plants perfect for the Oak Hill area will be on sale. WOOD PROJECTS Also, wood projects from Mr. Scott's classes will be available for purchase/preorder including children's picnic tables. Hope to see you, your neighbors, and your relatives there. If you are interested in volunteering, please email David Matthews at damatthe@austinisd.org. DONATIONS NEEDED Potting containers of all sizes and bags of leaves are needed for this event. Drop these items off next to the yellow gate on the 290 West side of the building at Clint Small Middle School or contact David Matthews for more information.